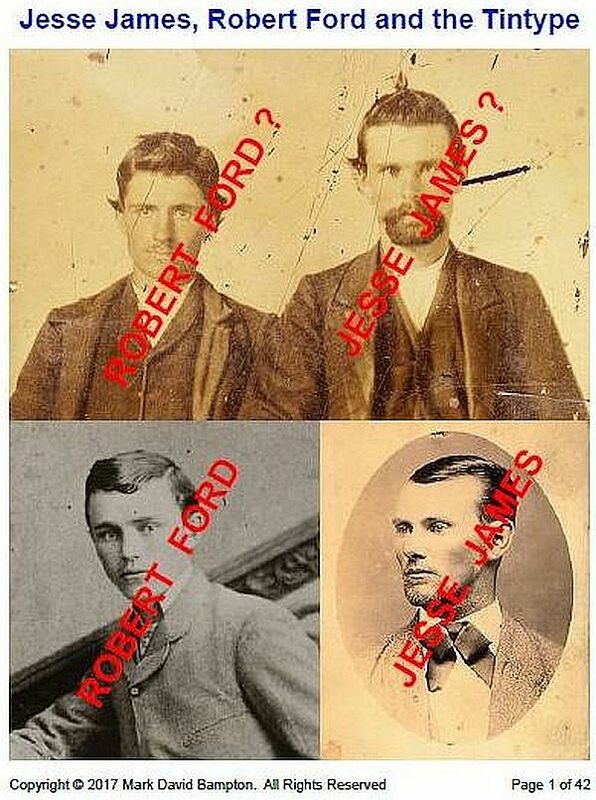 Savvy collectors of historical photos and artifacts took no time at all to alert the Jesse James family about the next stage in the ongoing Bob Ford-Jesse James photo hoax. 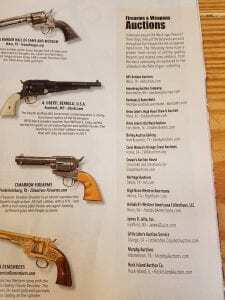 The latest hoax partner is the Burley Auction Gallery, aka Burley Auction Group Inc. located in New Braunfels, Texas. 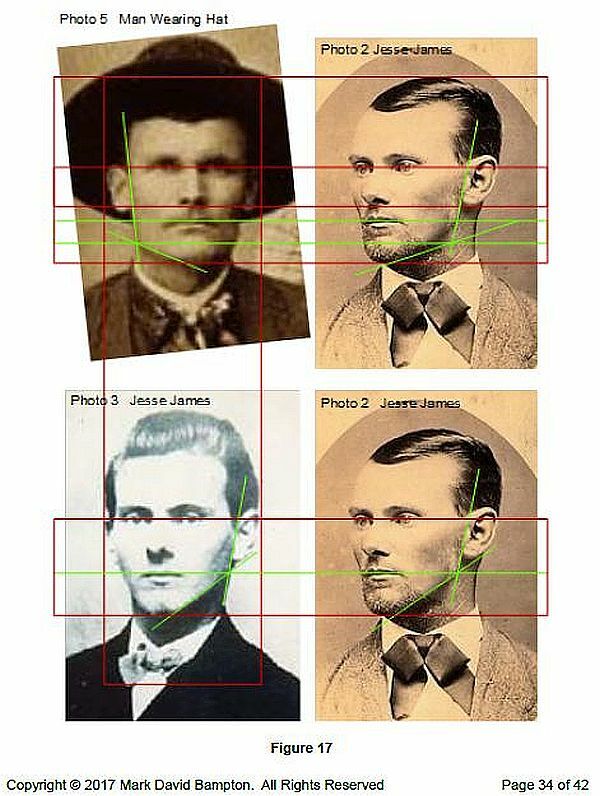 The only suspense left to this promotion of fraudulent Jesse James imagery is, who will be the next sucker to fall for this auction’s photo fraud? The auction announcement clearly identifies who is the present sucker. The Burley Auction Gallery advertisement identifies the estate of Tommy & Sara Jane Howell as the present dupe to have fallen for the scam. The flimflam originated with Sandy Mills, Lois Gibson, and others. 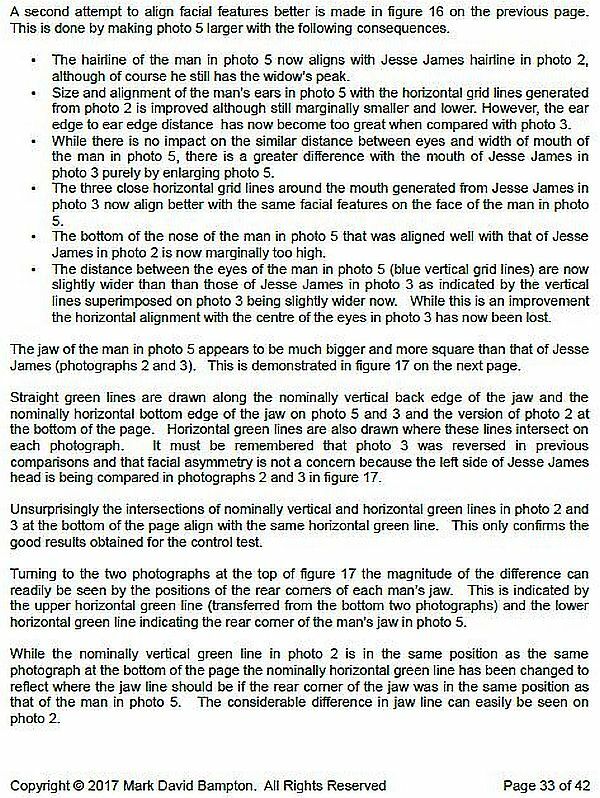 The Jesse James family has published and documented a blistering indictment of Mills and Gibson, describing in compelling detail why the claimed image is a hoax. 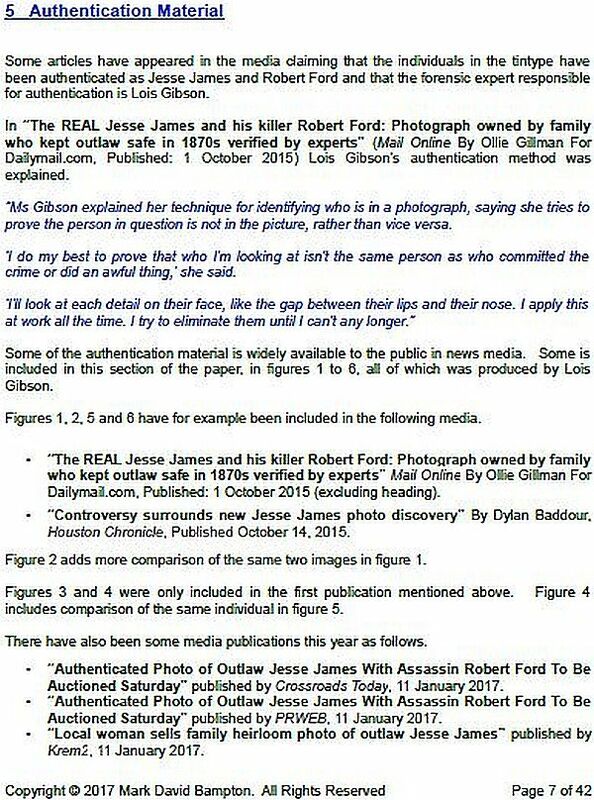 The James also have identified the cabal who have partnered, enabled, and supported Mills and Gibson’s hoax. 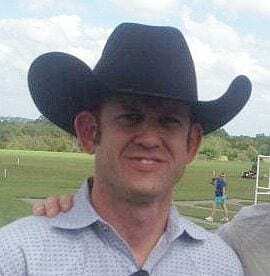 The Howells appears to have owned or acquired the artifact less than a year ago. 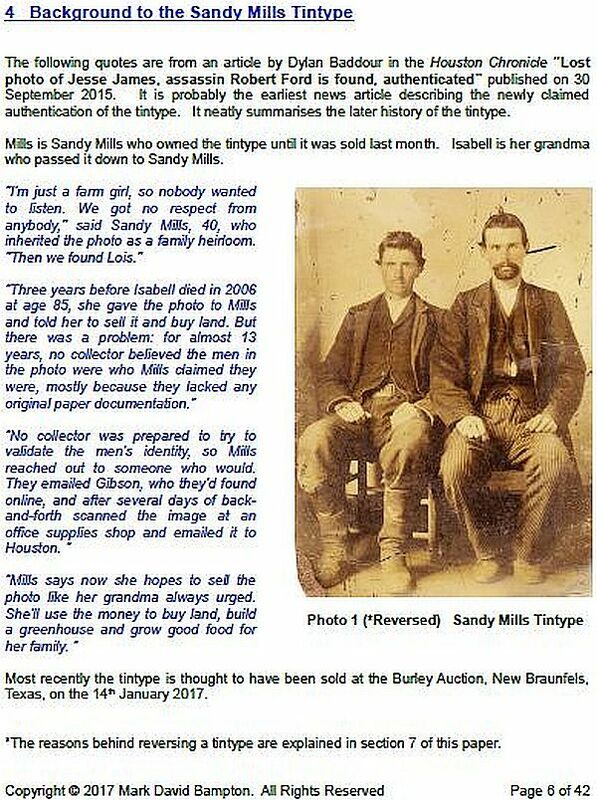 Next in line, they now have consigned their fraudulent tintype to Burley Auction Gallery to dispose of it. At that time, Bobby Livingston, executive vice-president of RR Auction in Amherst, New Hampshire, judiciously sidestepped the opportunity of auctioning the photo. Or did he? Livingston certainly did not shy away from promoting the sham. 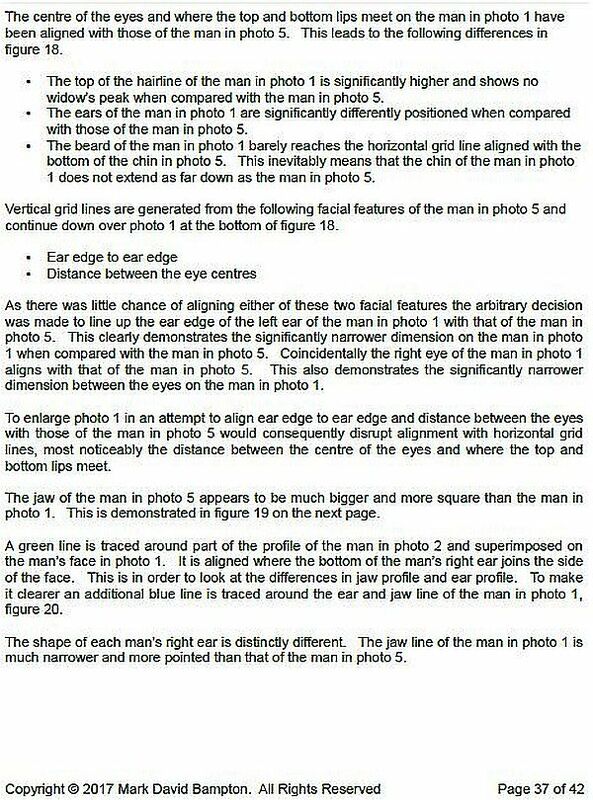 In a newspaper interview, Livingston stated that if the image was authentic the photo might fetch up to $2 million. 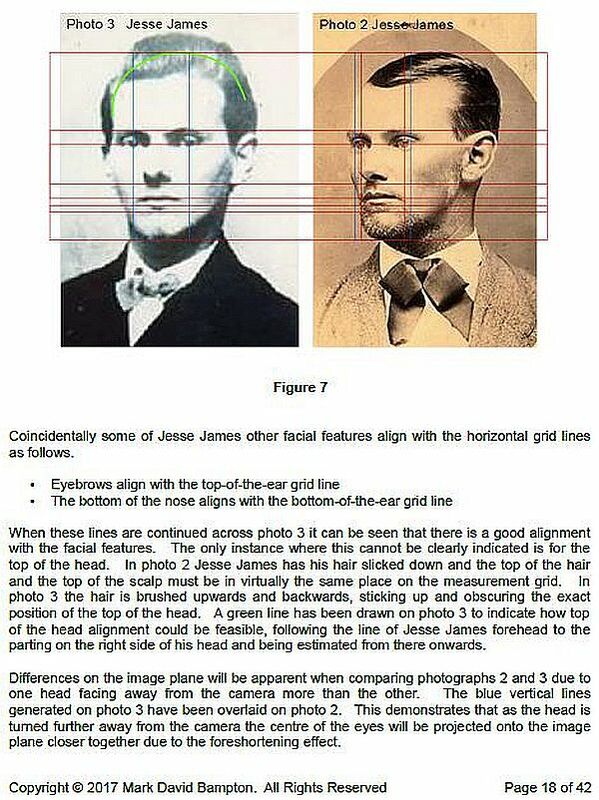 A surprising statement from an auction house, since due diligence by any auction house would reveal that no authentic image of Jesse James has sold for more than $1,500. 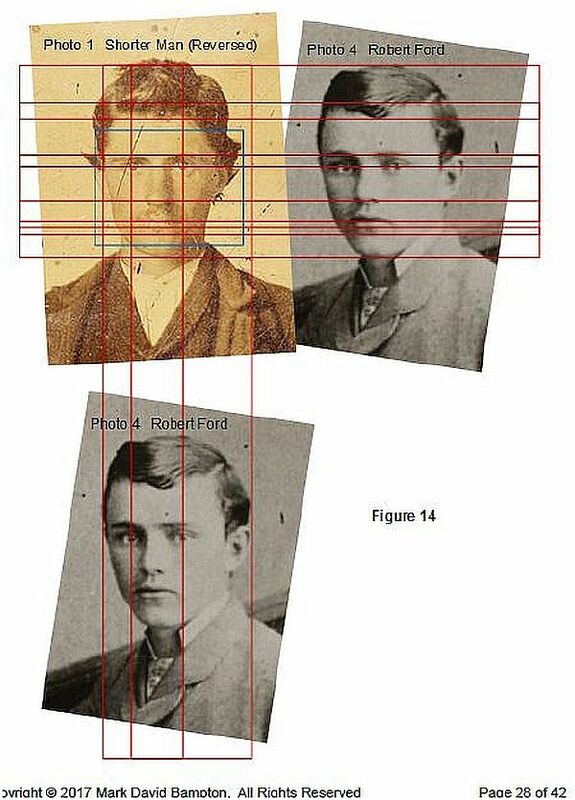 Bobby Livingston is under indictment in a lawsuit for fraud, misrepresentation, and presenting fake historical images as authentic. 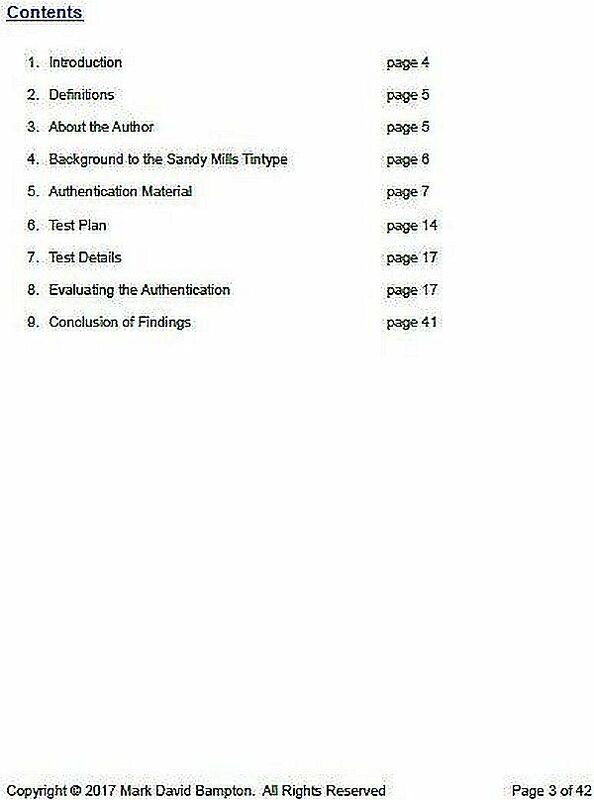 Livingston and RR Auction go to trial on January 17, 2017. 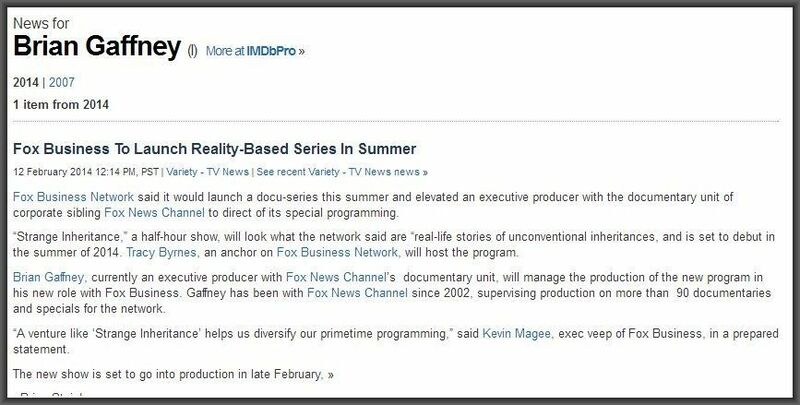 Questions remain. 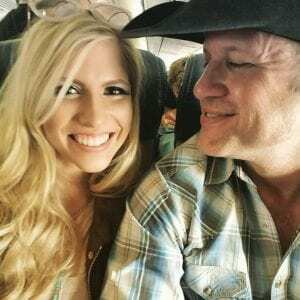 How did the Howells come into possession of the subject artifact? How much did they pay? 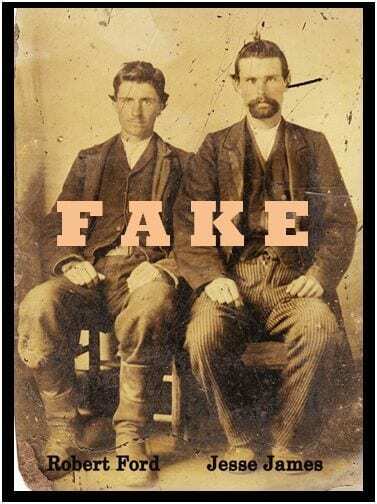 Why now are they so quick to rid themselves of a tintype claimed to be so valuable? Burley Auction Gallery grandiosely expects the Howell image to fetch $50,000 to $1 million. 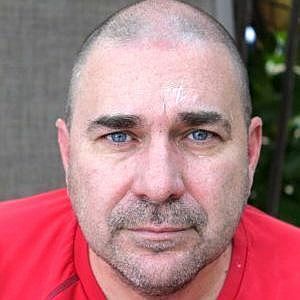 The value estimate apparently has plummeted precipitously since Mills’ original claim “in the millions.” The James family predicts Burley will find a new sucker willing to pay far less than the predicted amount – if anything at all. 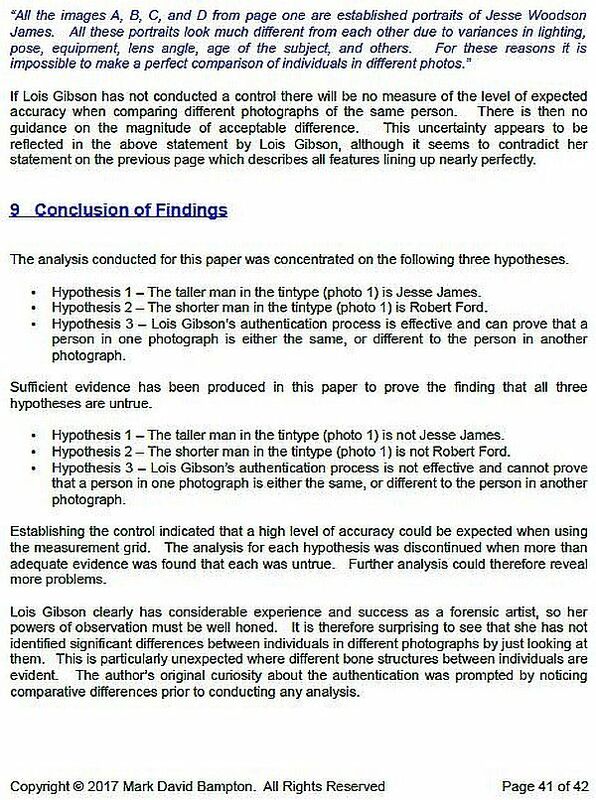 Clearly, Burley Auction Gallery failed to conduct any due diligence in arriving at its estimate of value. 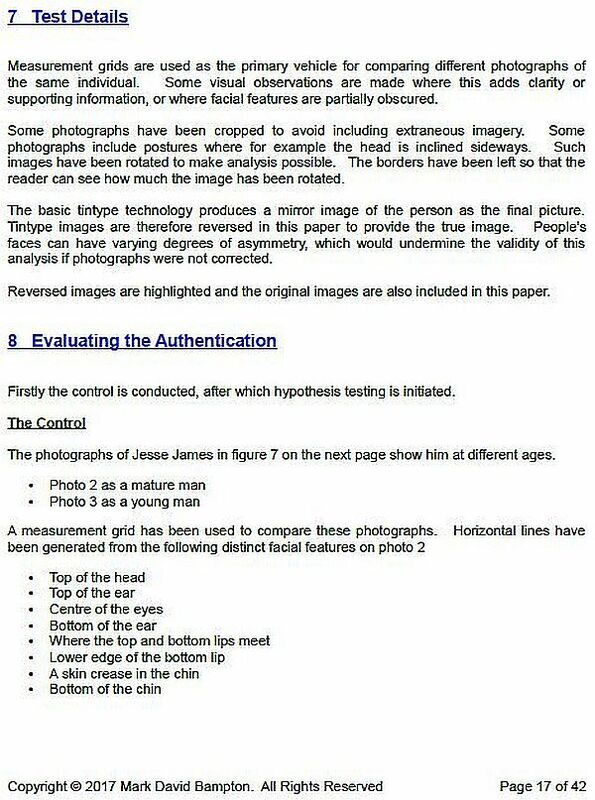 Nor did Burley assess the tintype’s authenticity or legitimacy. 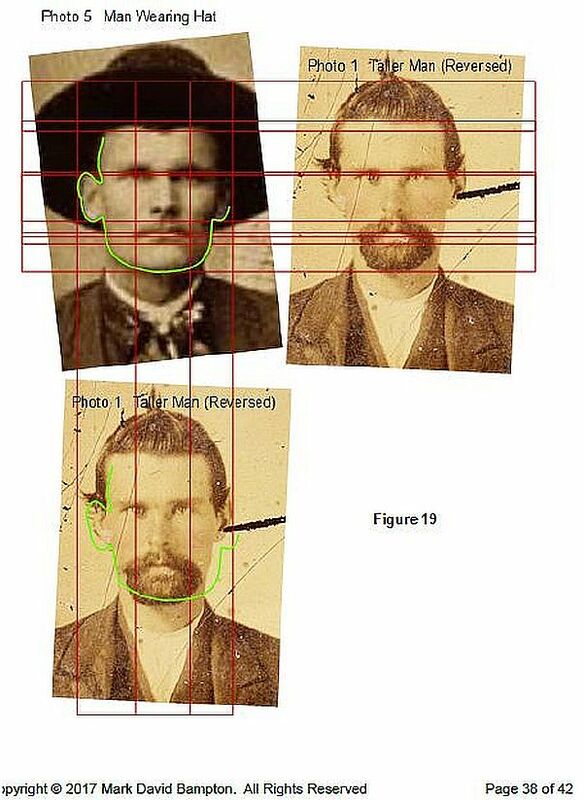 Burley astutely refers to the image as “Photograph Attributed to Jesse James & Bob Ford.” Burley does not state the image is Jesse James and Bob Ford. 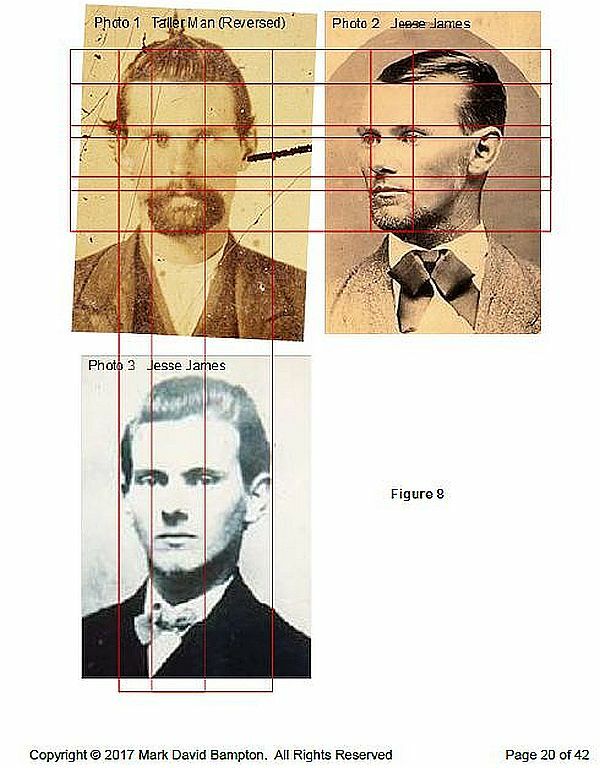 Burley also cites the auction image was “Inherited from a cousin of Frank James wife.” According to the Jesse James family, Sandy Mills’ claim that she is kin to the Jesse James family is as bogus as her tintype. 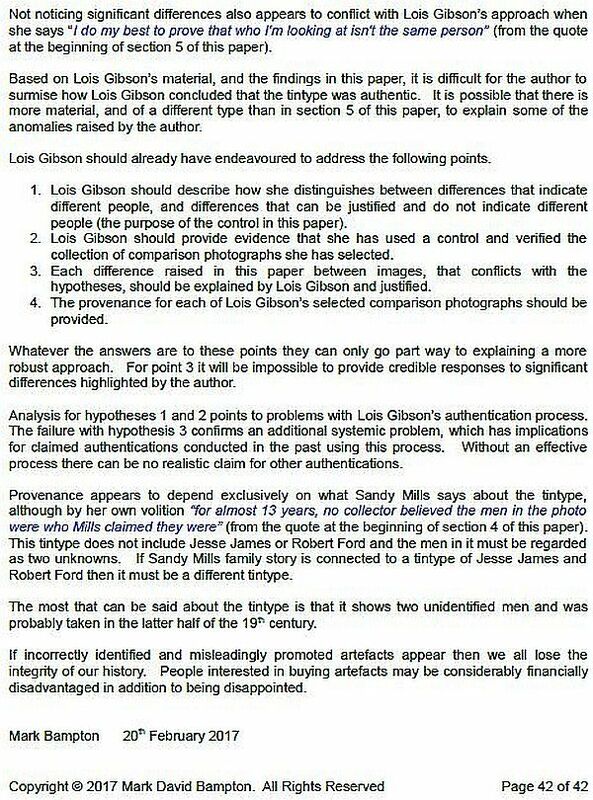 Mills never has published her genealogy publicly or made it subject to any peer review. 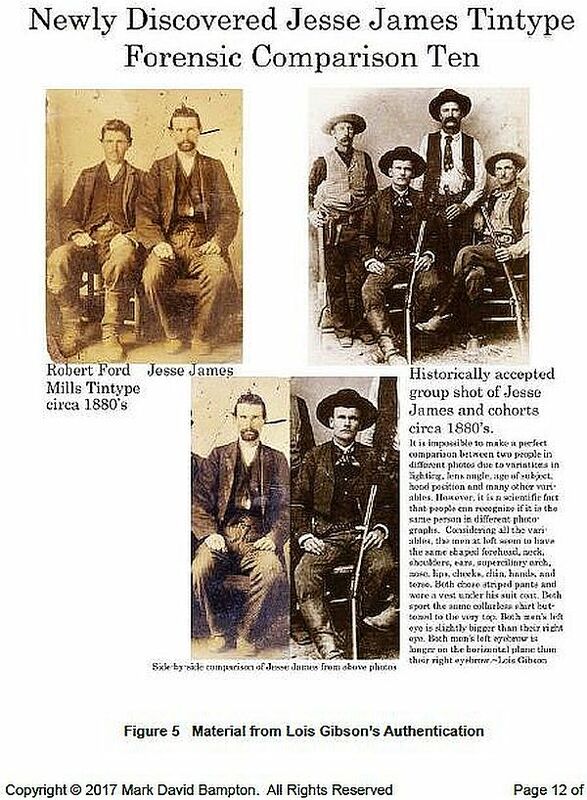 The Jesse James family does not know Mills family personally, or even informationally. 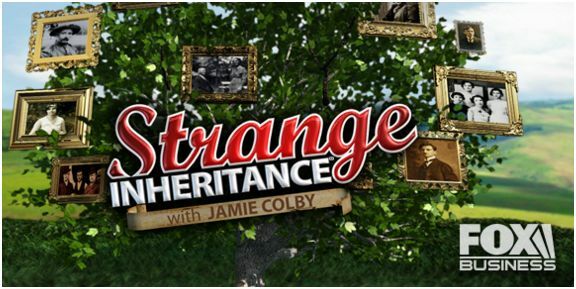 Neither Mills nor her family appears in the official Jesse James genealogy on the James family’s web site Stray Leaves that has been published for 20 years, despite the fact that there are some Mills who in fact are related to the James. 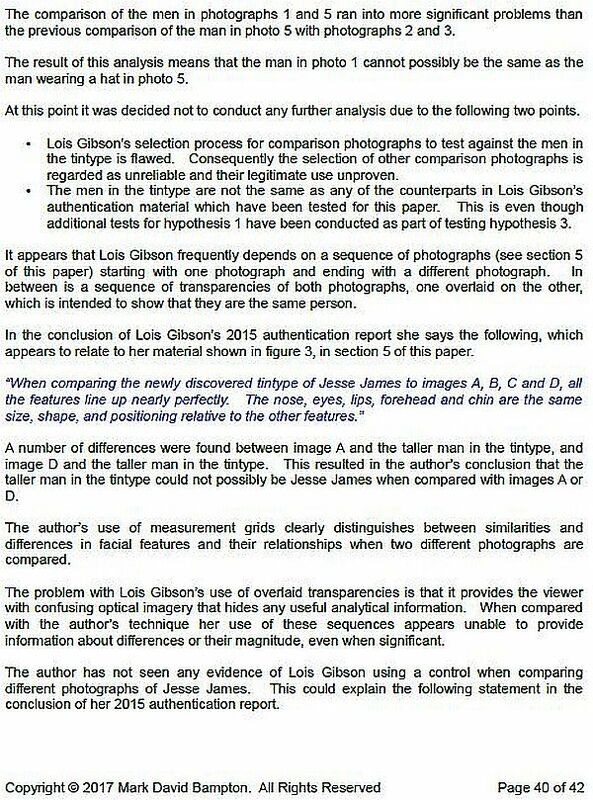 Burley Auction Gallery stepped away from conducting any due diligence regarding this claim of kinship whatsoever. 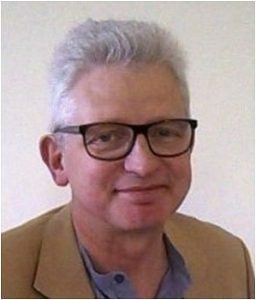 How much malpractice Robb Burley, the auction gallery’s owner, may be on the hook for is yet to be determined. 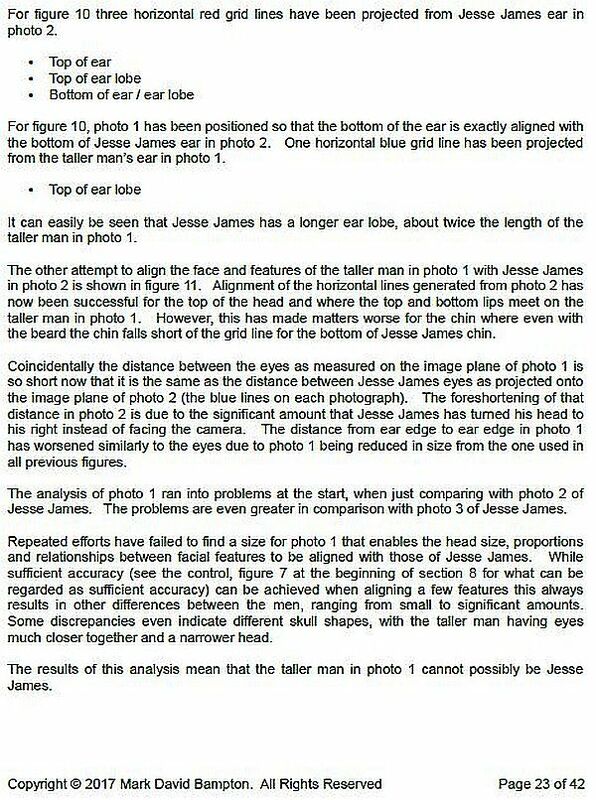 If Burley conducted any due diligence at all, Burley never contacted the James family for its opinion. 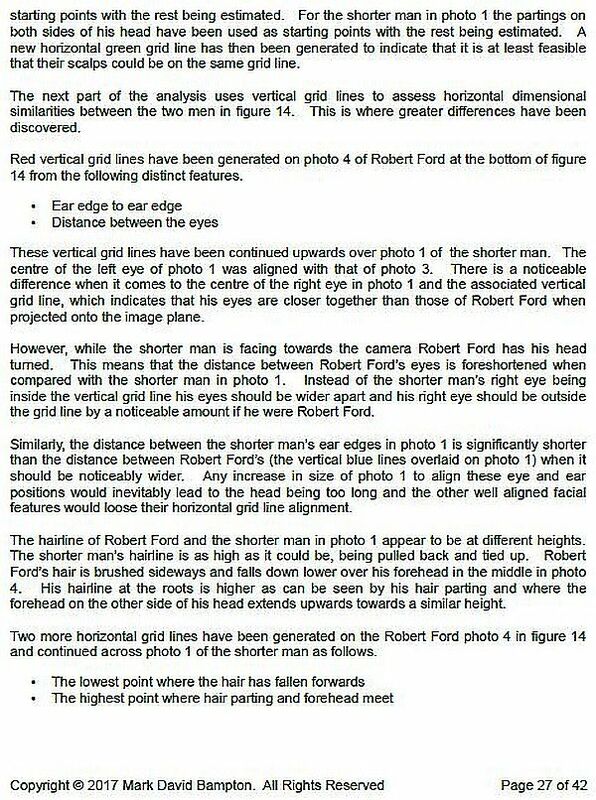 Nor did Burley contact the family about the image of Bob Ford handed down through their family. 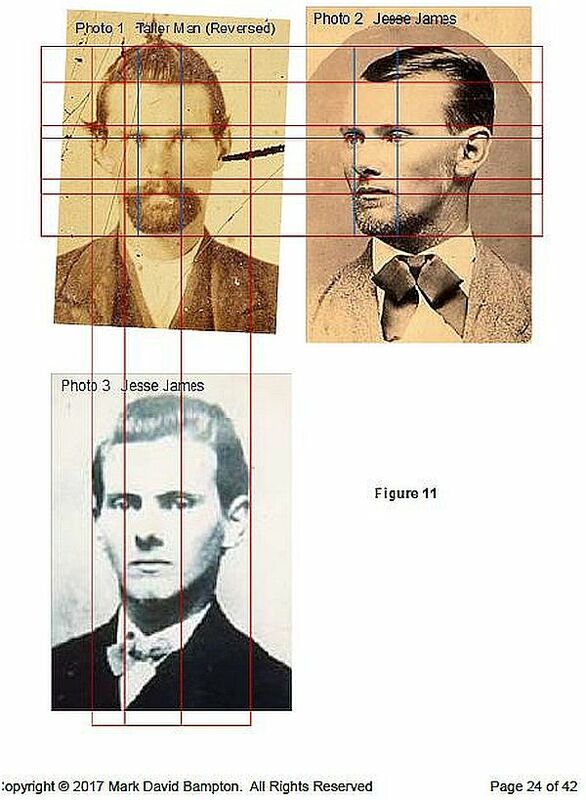 The James family’s image of Bob Ford first was published in 2012 in Jesse James Soul Liberty, Vol. 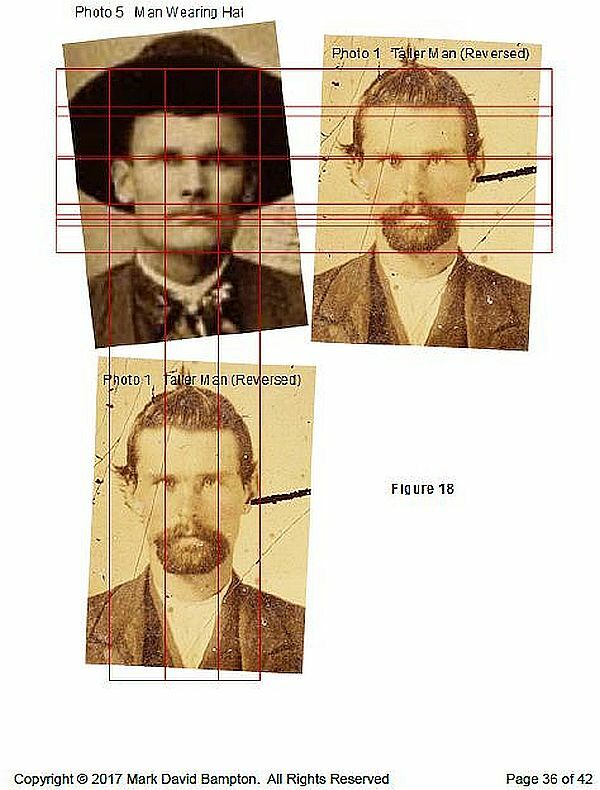 I., an authorized history of the Jesse James family. 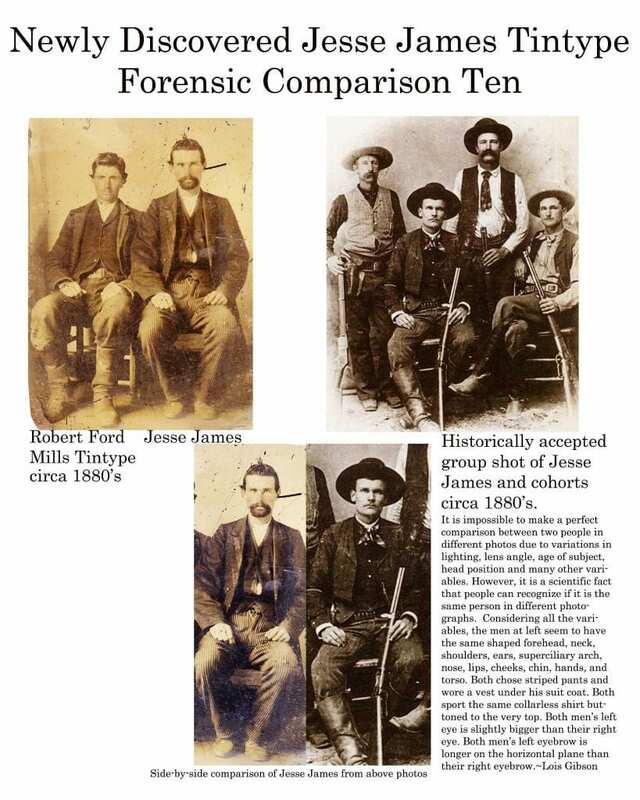 Nor has Burley contacted any collector of Jesse James artifacts and images known to the family. Those collectors are a tightly knit group. 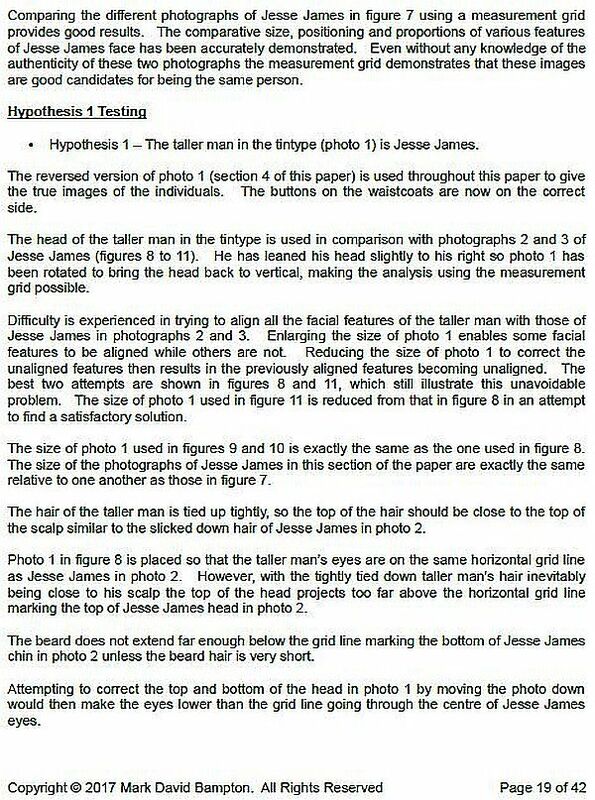 Most all enjoy a personal relationship with the James. 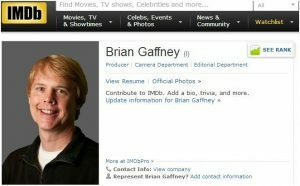 A CONFLICT OF INTEREST ? 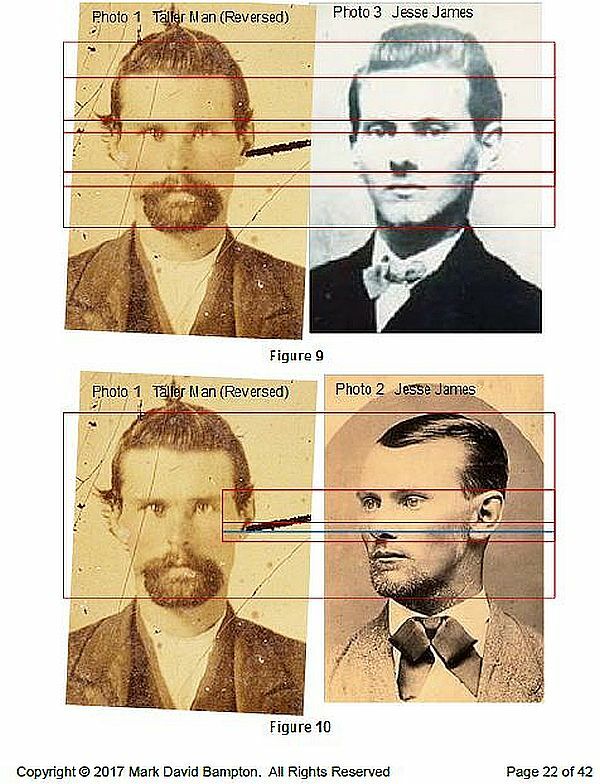 Los Gibson’s original hoax promotion shown here compared the hoax Jesse James to Texas Rangers in 1892. 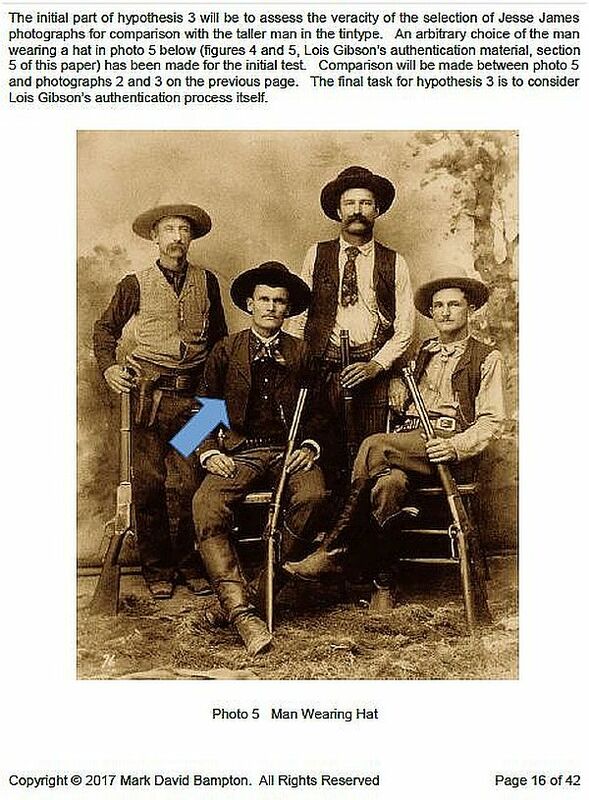 The actual Rangers image is in the collection of renown western artifact collector Robert G. McCubbin, who is well known to the James family. The Rangers appearing in the 1892 image are (Standing, from left) Robert “Bob” Speaks and Jim Putman. (Seated, from left) Alonzo Van “Lon” Oden and John R. Hughes. 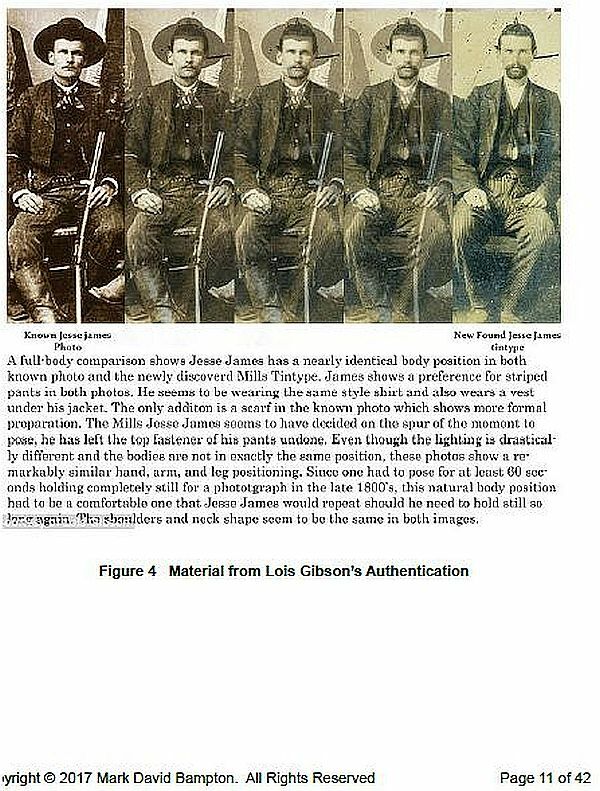 Burley’s promotion makes no mention of Lois Gibson’s original “authentication.” Then, Gibson cited an actual image of Texas Rangers taken in 1892, a decade after Jesse James was dead. 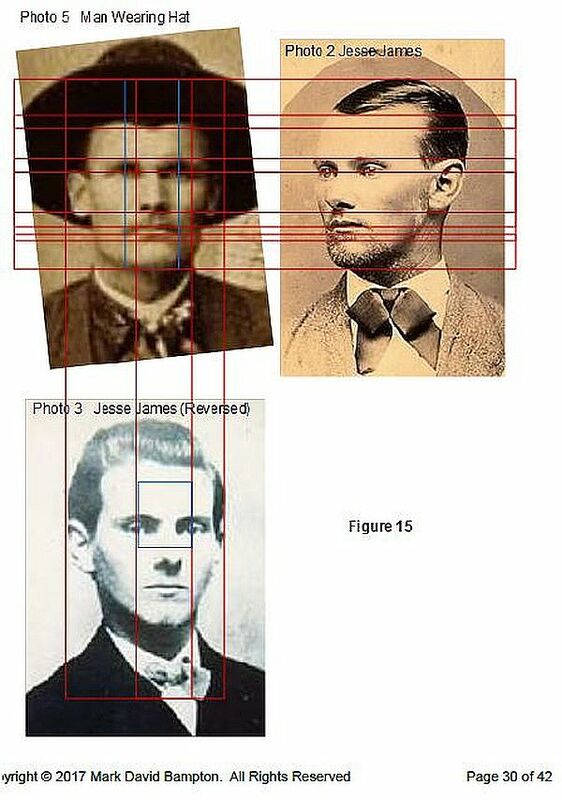 Gibson asserted one of the Texas Rangers to be Jesse James. 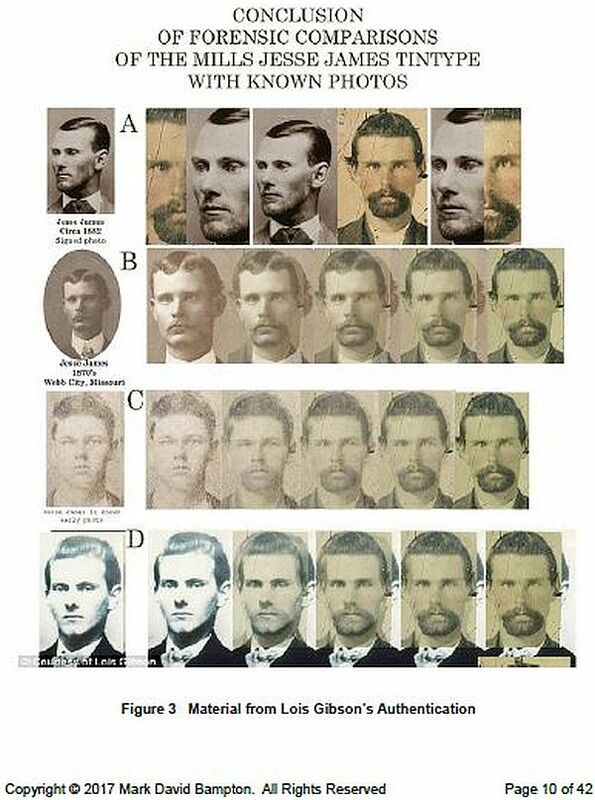 She favorably compared Sandy Mills’ claimed Jesse James tintype to the Texas Rangers’ image. 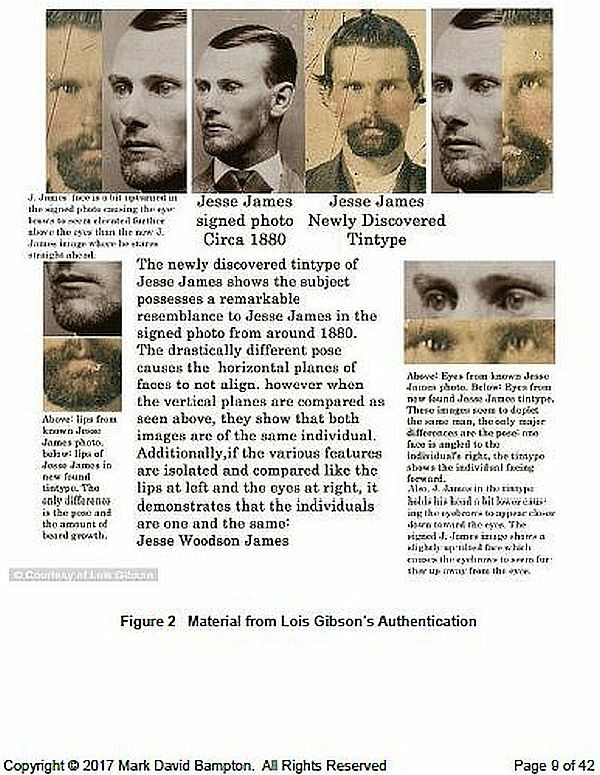 The individual Gibson asserted was Jesse James, in fact, is known to factual history to be Texas Ranger Robert “Bob” Speaks, not Jesse James. 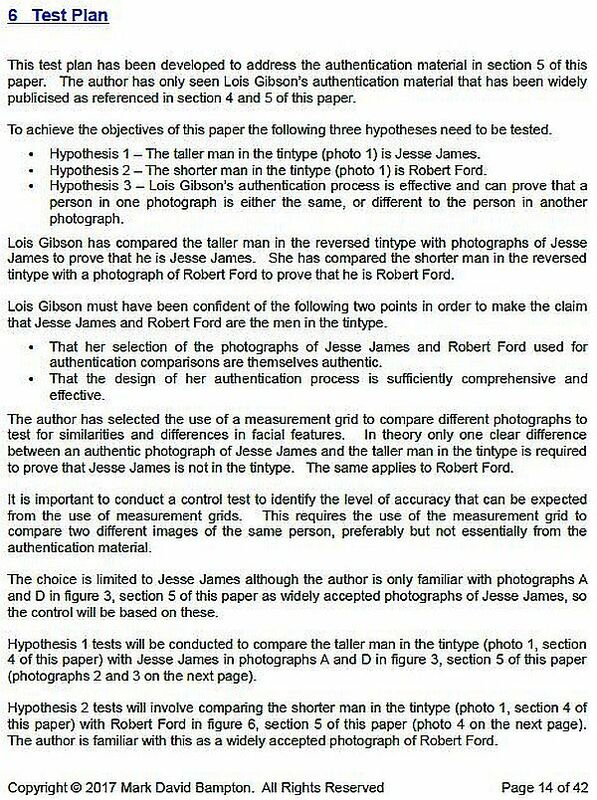 Why has such an invaluable authentication comparison been ignored and not cited in Burley’s promotion? The answer may reside at the Texas Ranger Hall of Fame & Museum. 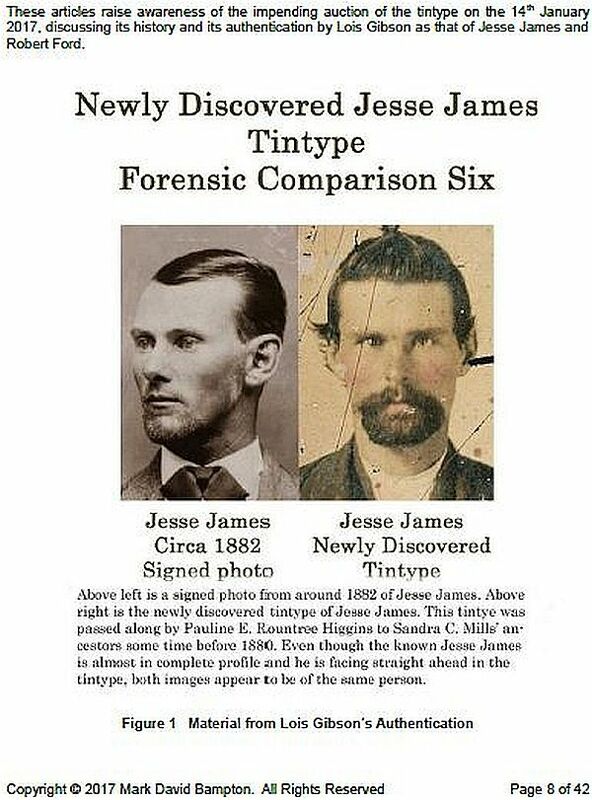 The rotating banner on the museum’s website displays the Texas Ranger image from 1892 that Gibson claimed includes Jesse James. 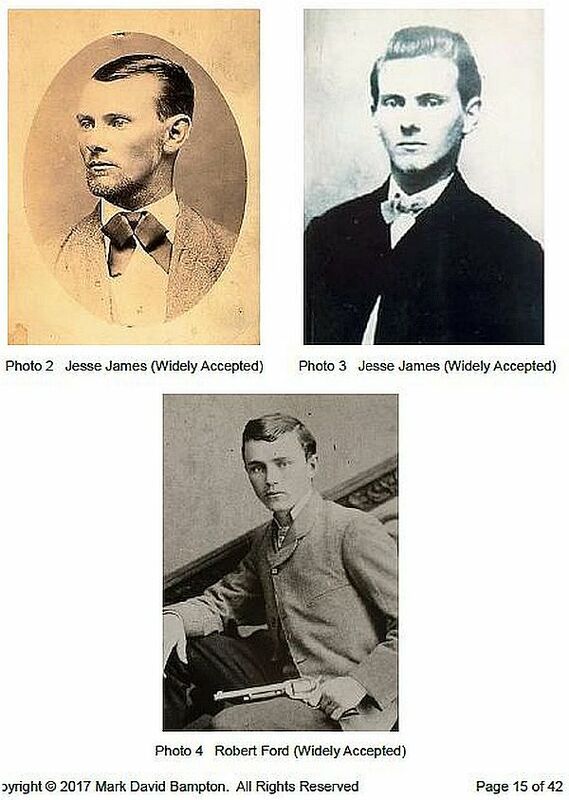 The banner image is titled “The History of Early Texas Rangers.” No one in America believes that Jesse James was a Texas Ranger after he was killed in 1882. 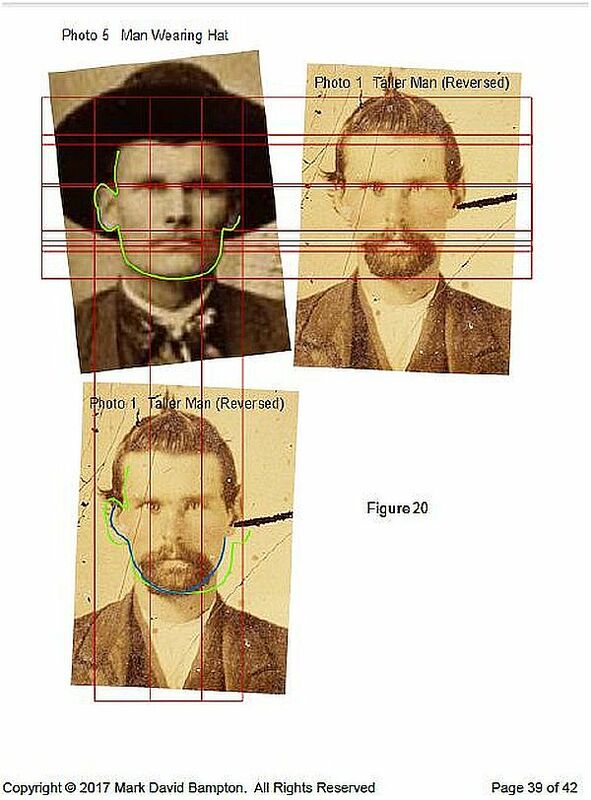 Web site of the Texas Ranger Hall of Fame & Museum, highlighting the 1892 image of Texas Rangers that Lois Gibson claimed included Jesse James. 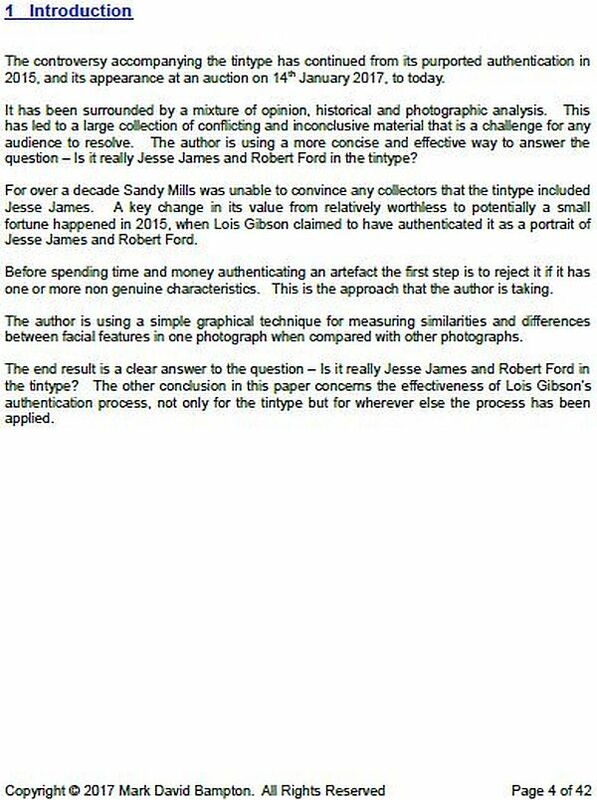 In a slide show, Burley does rely upon Gibson’s comparisons of Bob Ford’s actual image to Mills’ claimed image. 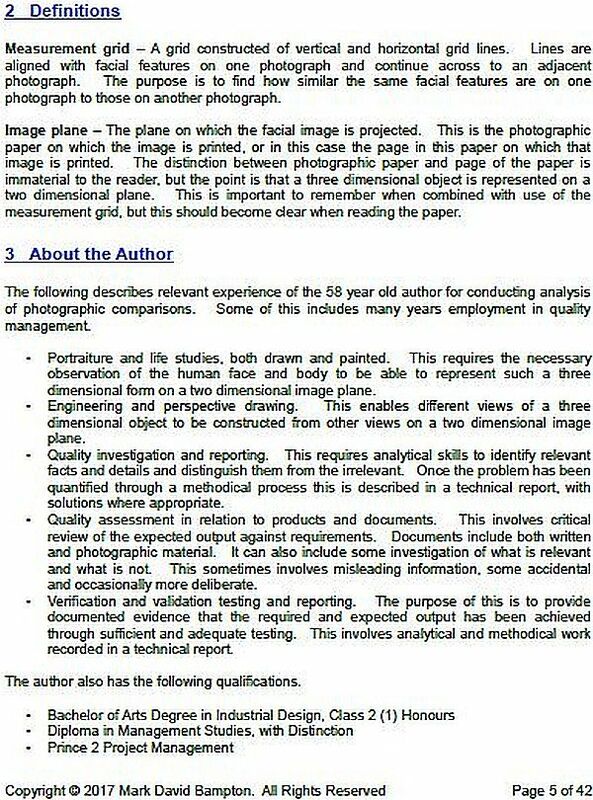 A degree in forensic science that would employ mathematical analysis to assess similarities and dissimilarities of physical features in historical imagery is not needed here. 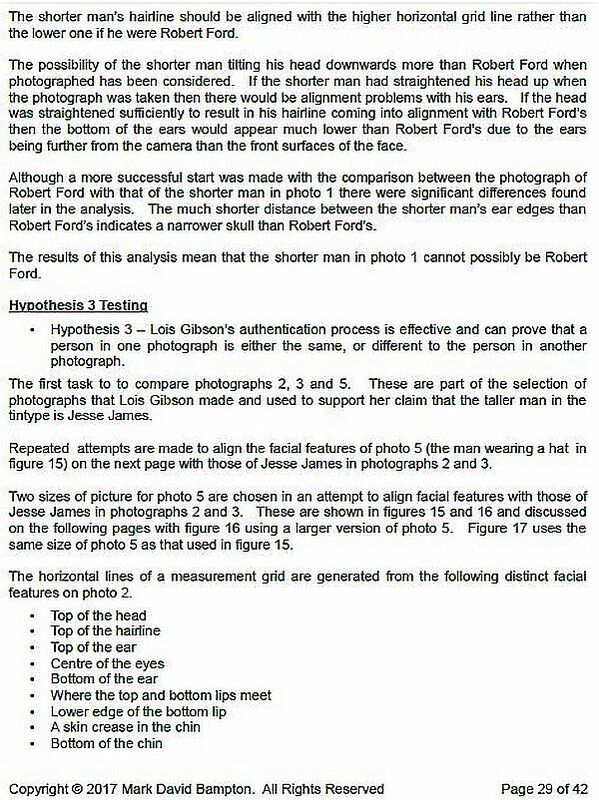 Plainly visible in Gibson’s comparison is the dissimilarities between the actual photo and fake photo regarding hairline, forehead, eye, ear, and nose structure, lips and jawline. 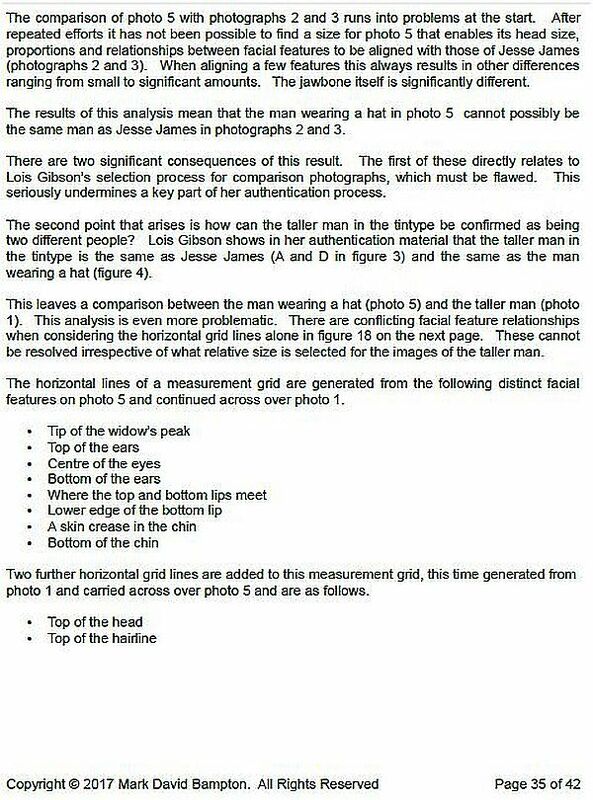 The two plainly are not identical. 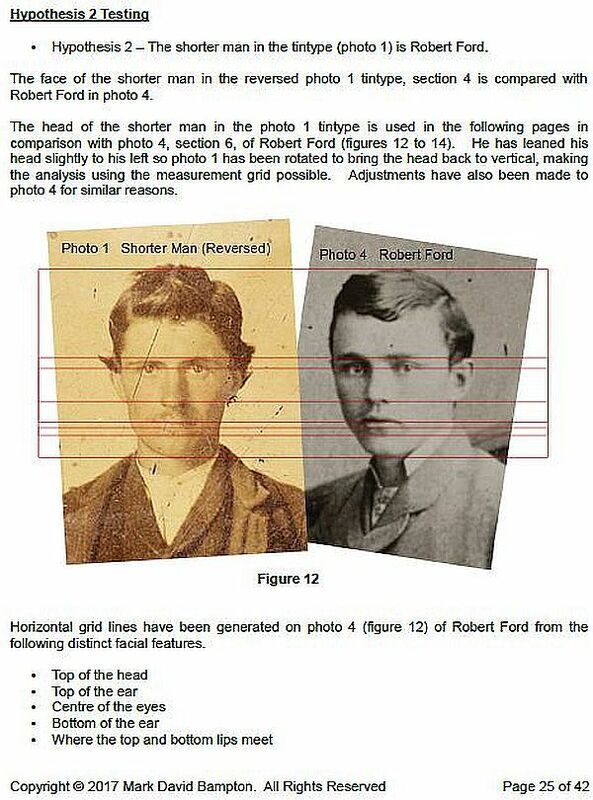 Left appears an actual photo of Bob Ford. 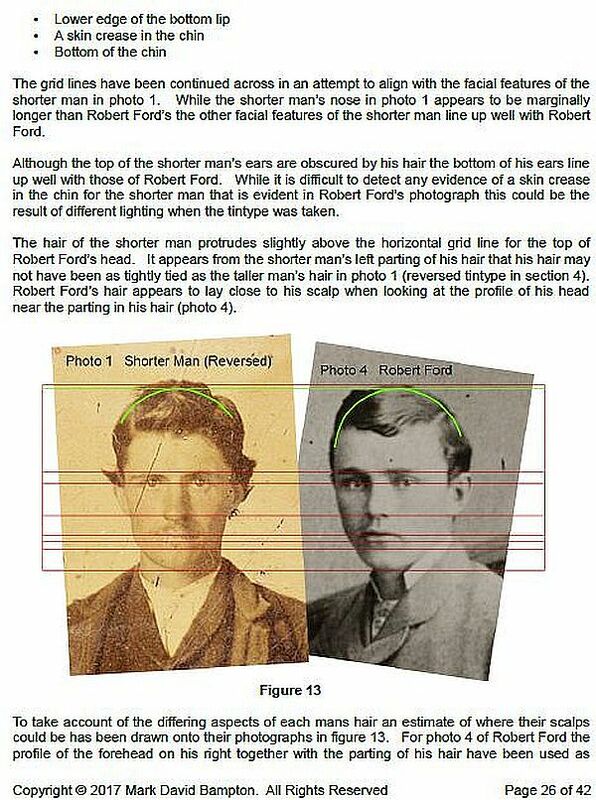 Right appears the fake photo of Bob Ford. 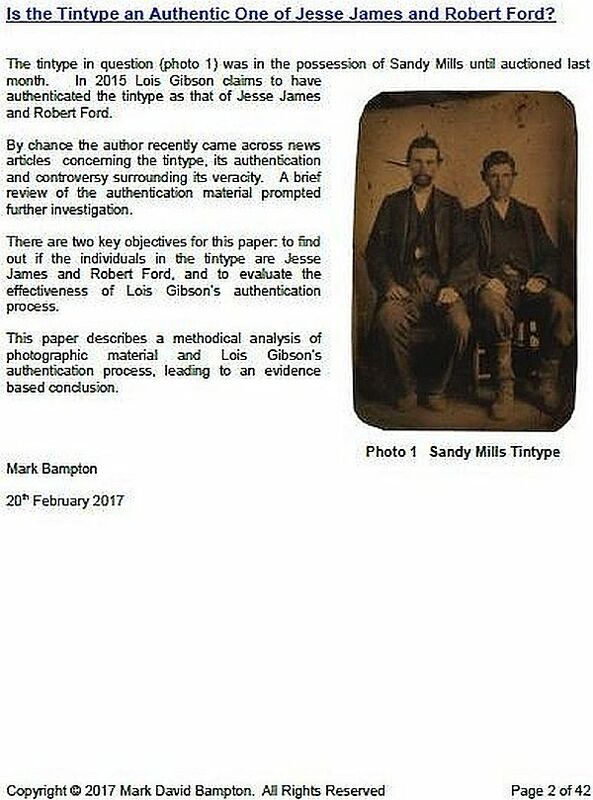 Furthermore, the Texas Ranger Hall of Fame & Museum takes great pains to caution the public against fake Texas Ranger badges. 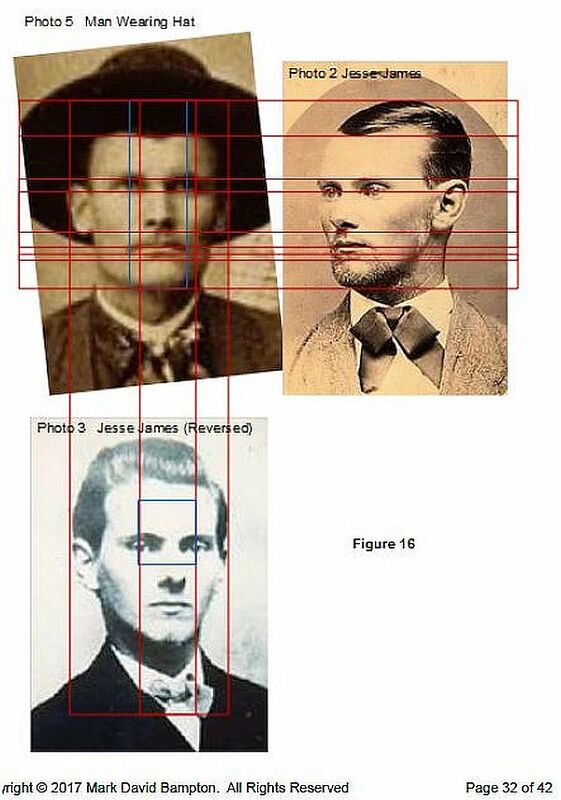 Fake Ranger badges are as rampant apparently as fake Jesse James photos. 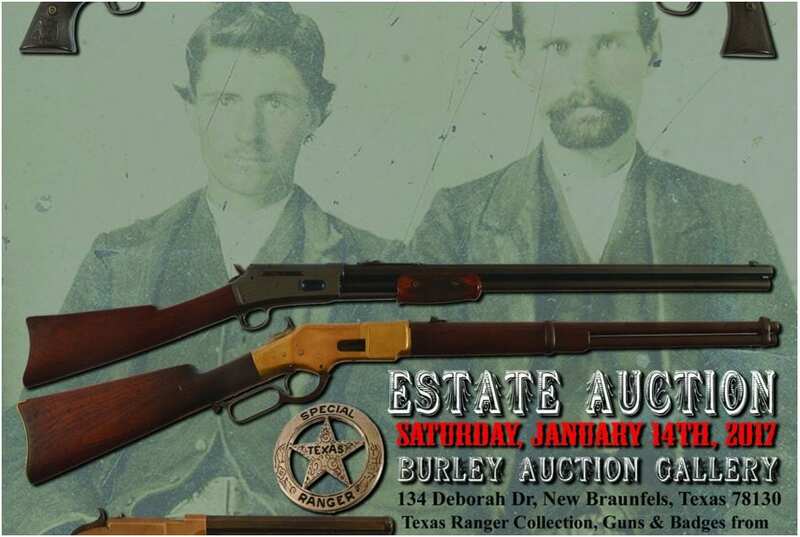 In this auction, the Howells have consigned to Burley Auction Gallery a number of Texas Ranger badges to be auctioned with the Bob Ford-Jesse James photo hoax. 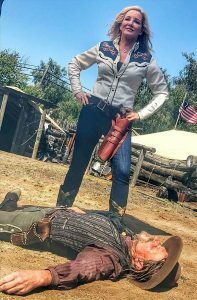 Assuming the Howell’s Ranger badges are bonafide, is it any wonder why Burley Auction Gallery would make no mention of Gibson’s egregiously and flagrantly flawed Texas Ranger image comparison? 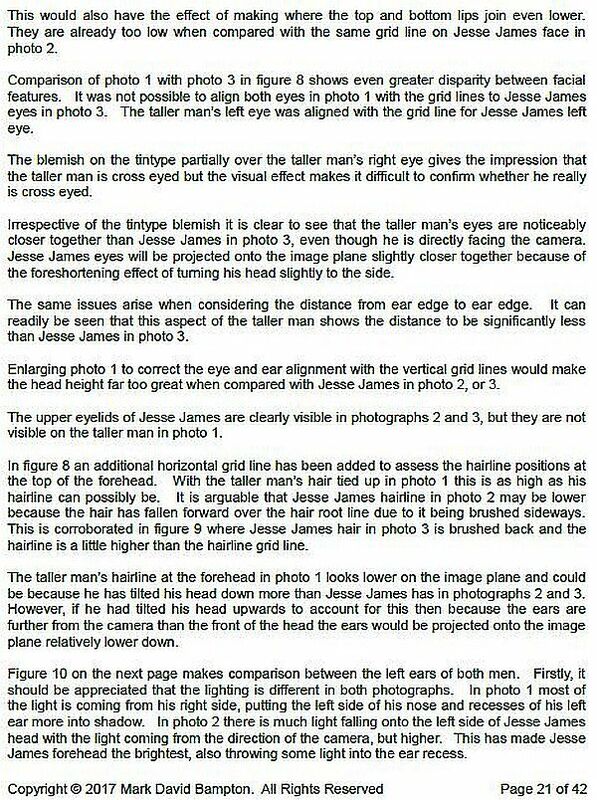 The Jesse James family formerly debunked the Mills-Gibson-Howell fake and stands by its allegations. 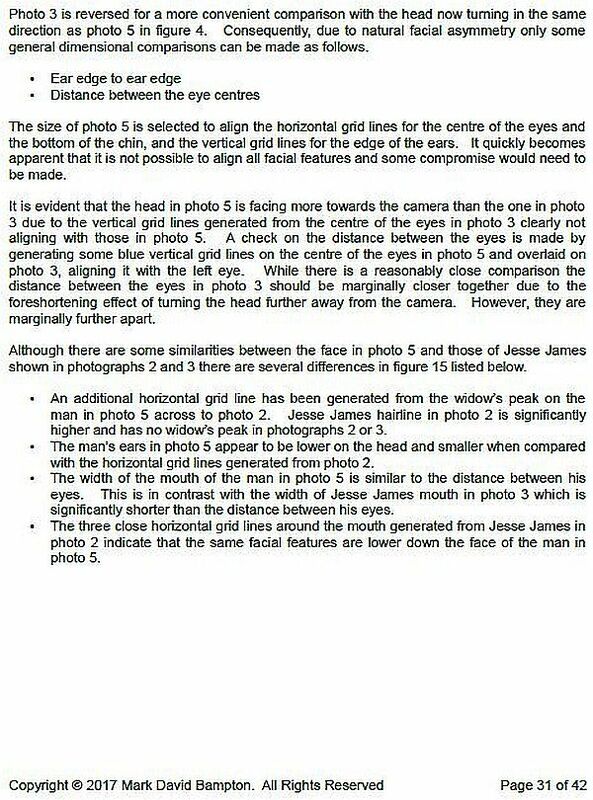 The family further has documented the cabal of sycophants that has supported and promoted this bogus photo. 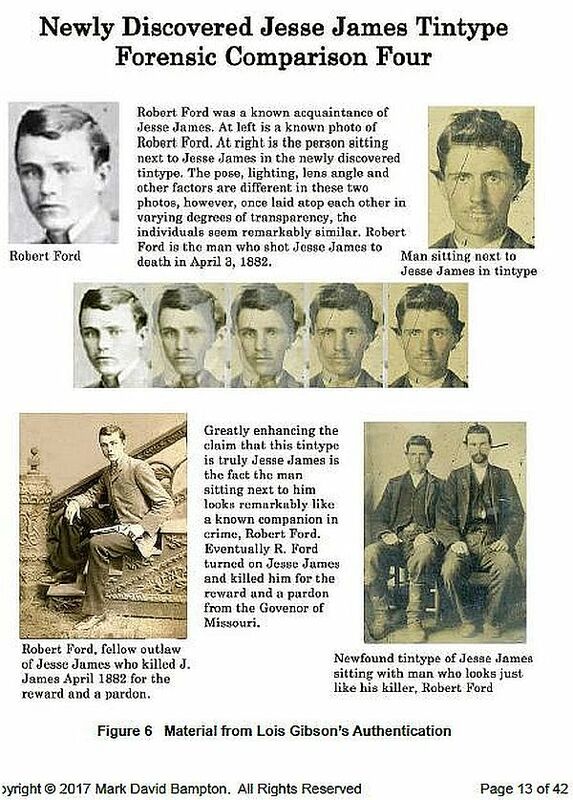 The Jesse James family restates its willingness to support anyone who may have a claim they are defrauded by the known principals and supporters of this Bob Ford-Jesse James photo hoax. Burley Auction Gallery is on the hunt for the next sucker in this proven swindle. 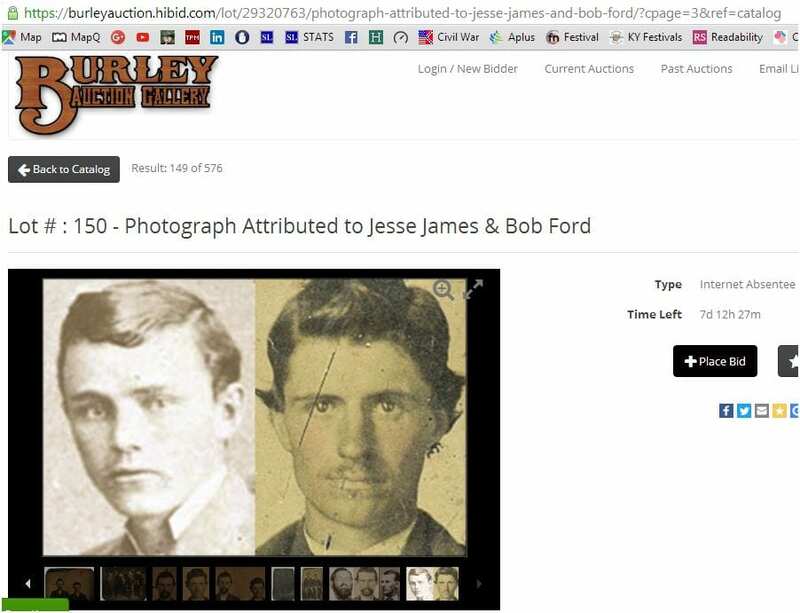 The James family now adds Burley Auction Gallery to its listed cabal of those – and their successors – who enable, promote, and disseminate fraudulent and fake Jesse James imagery in their exercise of Jesse James family identity theft.